When our worldview becomes fragmented, we no longer feel the connection of all life in our heart and no longer see the cause and effect of all actions in our mind. The resulting turmoil and isolation can be unbearable. One purpose of imagination is to reveal and restore the web of connection we participate in. But living in fragmented ways—never seeing or accepting the consequence of what we do—erodes our capacity for imagination and connection. Inevitably, we slip into the near-sightedness of literalism whereby we can only comprehend what is before us. Literalism erodes our ability to connect the dots. We return to a flooded house unable to fathom that leaving the water running had something to do with it. We wake in a society filled with random acts of violence unable to fathom that how we treat each other and educate each other has played a part in creating the conditions for that violence to erupt. Literalism blinds us to the consequences of our actions and so, creates conditions for violence, thwarting the compassion of community. If the chemicals on my lawn leach into your water supply, making it undrinkable, there is cause and effect. And if we never see or hear certain people in our communities, they will eventually resort to drastic measures to be seen and heard. There is always cause and effect. One part affects the other. One part keeps the other alive. The practice and failure of our awareness of each other has gone on forever. Being a citizen of the world—a wakeful member of the largest living community known as humanity—requires us to keep the ways we are connected in view and to base our actions toward each other on the larger effects our actions will have on those connections. The American naturalist Henry David Thoreau (1817–1862) refused to pay a poll tax in July 1846, because he believed that the funds would be used to support the Mexican-American war. This armed conflict was waged between the United States and Mexico from 1846 to 1848 in the wake of U.S. annexation of Texas in 1845, which Mexico considered a province of its nation. At the time, Thoreau was living in the woods surrounding the New England village of Concord, Massachusetts. When my wife, Susan, and I first moved from upstate New York to southwest Michigan, we owned a van. In New York State, annual car inspections required every vehicle to have a functioning emissions control device, which we supported in concept but complained about whenever the expensive contraption under our car wouldn’t work and needed to be repaired. In the thousand details of moving, I realized once in Michigan that our van’s inspection had lapsed. I quickly found an auto shop and was surprised to learn that there are no required car inspections in Michigan. Since the emissions control device on our van wasn’t working again, I asked about that and was told that there were no emission regulations in Michigan. The mechanic glibly said, “No worry on that. The winds blow north. It just all goes into Canada.” Just what are we doing in here and out there? When a break in whole-mind thinking—the effort to keep our worldview as large as possible—fragments our lives, it creates a form of social insanity whereby we become our own unconscious enemies, undoing the good efforts we make. For instance, two random shootings, in Las Vegas (on January 4, 2010) and Washington, D.C. (on March 4, 2010), were perpetrated with guns sold to the shooters by the Memphis Police Department. As a source of revenue, police departments across the country resell guns confiscated during arrests; then they turn around and head back out into the streets to track down criminals who seem to have an endless supply of guns. Even more incredible is the fact that, in Tennessee, the practice of reselling guns is now required, and that this was signed into law by Governor Phil Bredesen on the very same day (March 4, 2010) that the mentally disturbed man, armed with a gun purchased from the Memphis Police Department, walked up to an entrance of the Pentagon, approached two police officers, and calmly opened fire, wounding the officers before they shot him. This sequence of events is social insanity, tantamount to fire departments selling gasoline and matches in order to raise money. The wholeness or brokenness with which we see and feel each other in a daily way has real consequences. We are challenged at every turn to recover and honor the obligations required to be a member of the larger human community. Perhaps the greatest gift we’ve lost is the largeness of view by which we feel the web of life and all its connections. Healthy communities depend on their ability to understand and foresee both connection and cause and effect, because everything is connected and interdependent. 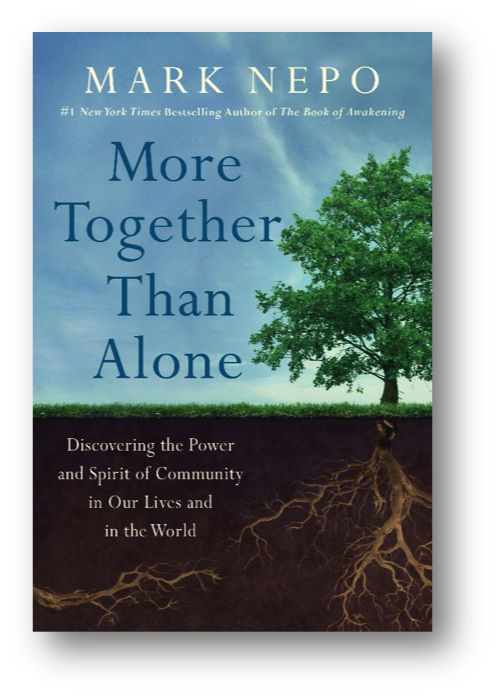 We’re challenged to remember that, just as bodies are made of organs which are made of tissue, communities are made of neighborhoods which are made of families which are made of individuals. Each part informs the whole. As human beings living in an increasingly complex human hive, the social insanity we are falling into is a collective disease of disconnection, which only the re-awakening of our compassion can heal. Otherwise, like James Thurber, we will find ourselves sipping coffee by a window, watching bulldozers cut down elm trees to clear a site for an institution for people driven insane by the cutting down of elm trees. “Las Vegas (January 4, 2010)” A man who lost a recent Social Security claim walked into the lobby of the Las Vegas federal courthouse, pulled a shotgun from underneath his jacket, and began shooting; killing a court security officer and injuring a deputy U.S. marshal.